Would you like someone from Nourish to speak at your event? Nourish staff members frequently speak at community organizations, boards, churches, schools and businesses. 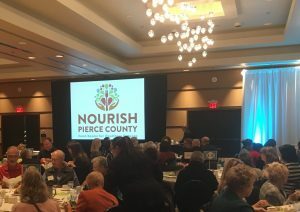 We can share information on hunger and food insecurity in Pierce County, explain Nourish’s model to help address the problem, and offer opportunities for individuals to help. If you are interested in having Nourish speak, email admin@nourishpc.org. We will respond to requests as quickly as we can.